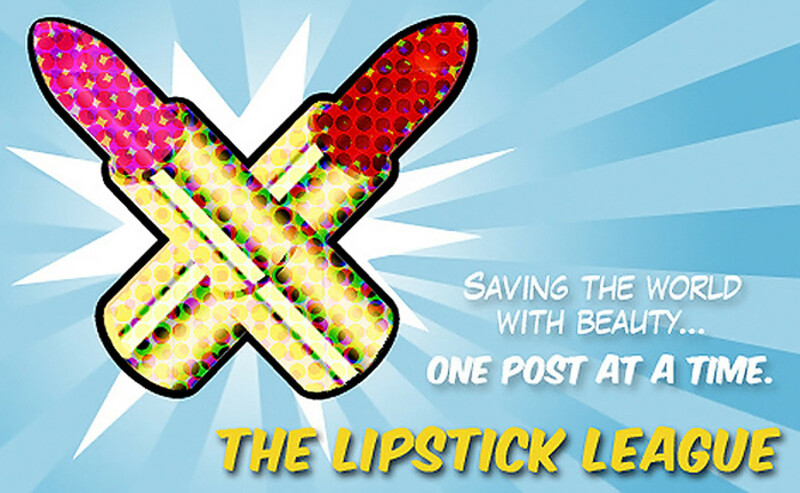 The Lipstick League is wondering what your favourite beauty product of 2017 might be. And of course I can&apos;t pin it down to just one brand or range or item. A lot of great stuff came out this year and I&apos;ve still got lots to try. But I can at least mention a few contenders out of items that have become part of my personal regimen so far. I keep talking about the Clarisonic SmartProfile Uplift with Firming Massage Head attachment ($429 CAD at thebay.com and $349 USD at sephora.com) without having done a full post – that&apos;s because I&apos;m still failing at using it daily for longer than a few days at a time. The reason? I don&apos;t leave enough time to use it as part of my morning and evening skincare routine. 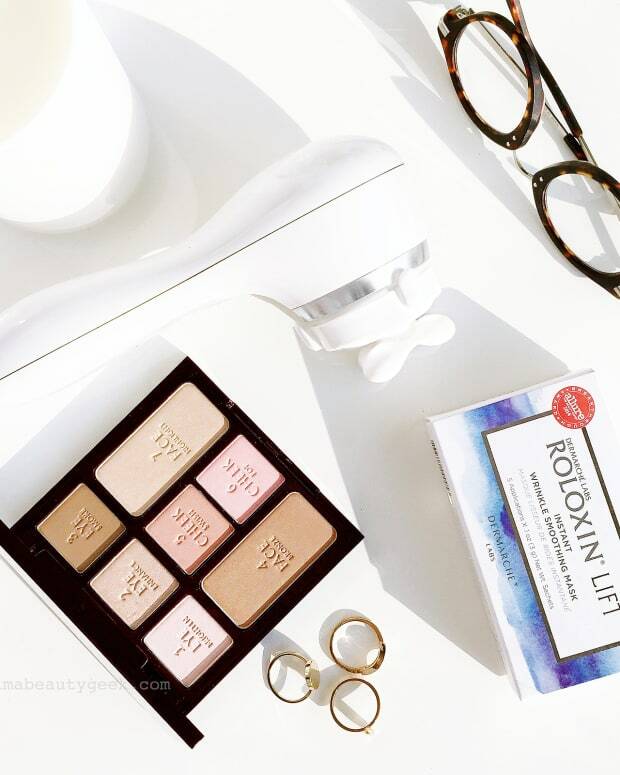 But the massage head fits the contours of the face really well and glides easily over skin even without a fresh layer of serum or moisturizer, so I&apos;ve decided simply to keep the unit next to my laptop to make sure I use it twice a day, morning and night. I love it because it feels amazing on the face and makes my skin feel alive. Are there long-term firming and lifting benefits? Apparently yes – I mentioned them here. Thanks to having breakout-prone skin in my 20s and early 30s, chemical exfoliants have been an integral part of my regimen since my early 30s. Neostrata&apos;s glycolic acid toner has most of my love; it&apos;s so good at evicting lazy dead cells that clog up and turn into spots. Now I&apos;m in love with Neostrata&apos;s Anti-Aging Peel Solution ($78 CAD at Shoppers Drug Mart; not available in the USA, I&apos;m sorry), which offers a 25%-strength at-home exfoliation session plus a hit of peptides that promises to boost skin bounce and wrinkle reduction. Key ingredients include glycolic acid, an AHA or alphahydroxy acid; gluconolactone, a PHA or polyhydroxy acid that acts like an AHA (evicts already dead cells) but is more gentle on skin; and fruit acids, specifically papaya extract, which works much like an AHA in that it breaks down the stubborn bonds holding onto dead cells that should already have shed themselves. 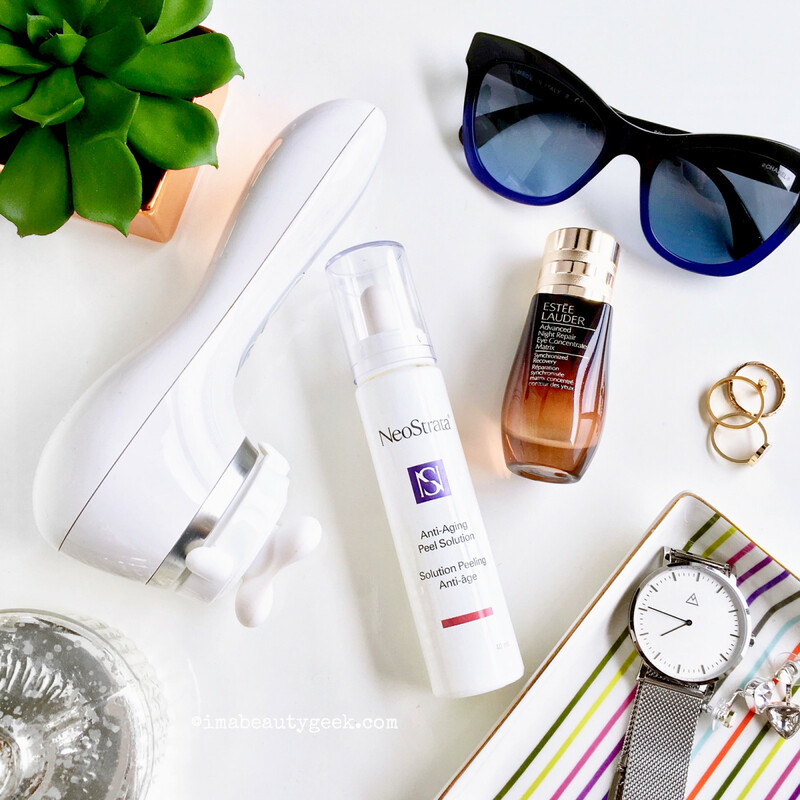 Designed for to sit on the skin for 15 to 20 minutes before rinsing, the Neostrata Anti-Aging Peel Solution doesn&apos;t sting my sometimes sensitive skin. (Well, I don&apos;t use it when my skin&apos;s feeling particularly sensitive.) 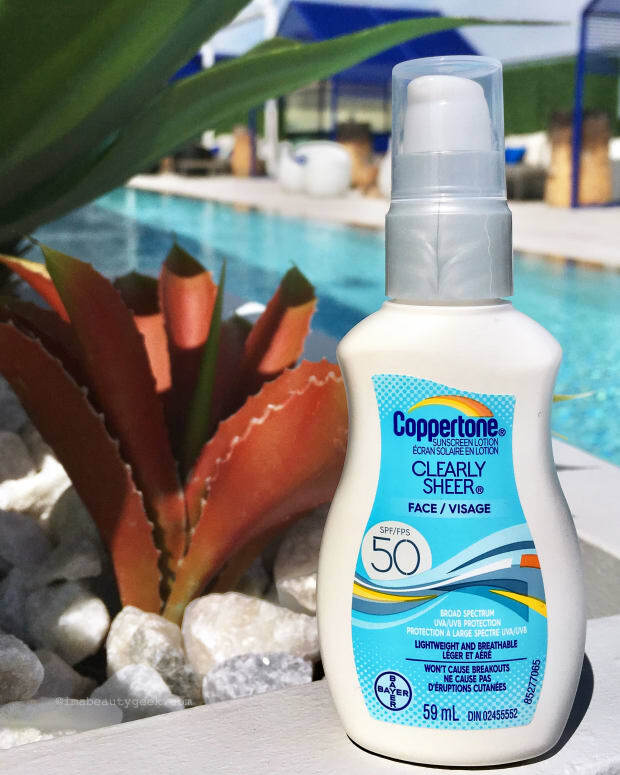 With twice-weekly use, it makes my complexion look smoother and brighter and better. And now that I&apos;ve finished my first bottle, I&apos;m trying the Brightening Peel Solution ($78 CAD at Shoppers Drug Mart), which also has a 25% exfoliation strength and promises significant improvement in radiance and hyperpigmentation. And yes, if you leave these peels on for way too long and/or use them too frequently, you&apos;ll upset your skin. I know from personal experience I like to call research. Yep, I&apos;m scraping the bottle of my bottle of Estée Lauder Advanced Night Repair Eye Concentrate Matrix. Before this stuff, I rarely used a separate eye moisturizer. I geeked out about it here, so I won&apos;t go on about it now, &apos;k? EauMG Need some last minute gift ideas? Well, Victoria has them! She&apos;s posted gift guides all week. Check out this one for gifts for niblings and teens. Geniabeme See Genia&apos;s results after using the PMD Personal Microderm for 3 weeks! Gouldylox Could this one brush replace four brushes in your kit? Maybe not everyday, but if packing lightly is your thing, this transforming brush may just be your everything. My Beauty Bunny has the scoop on all the new releases from Physicians Formula. Wow! 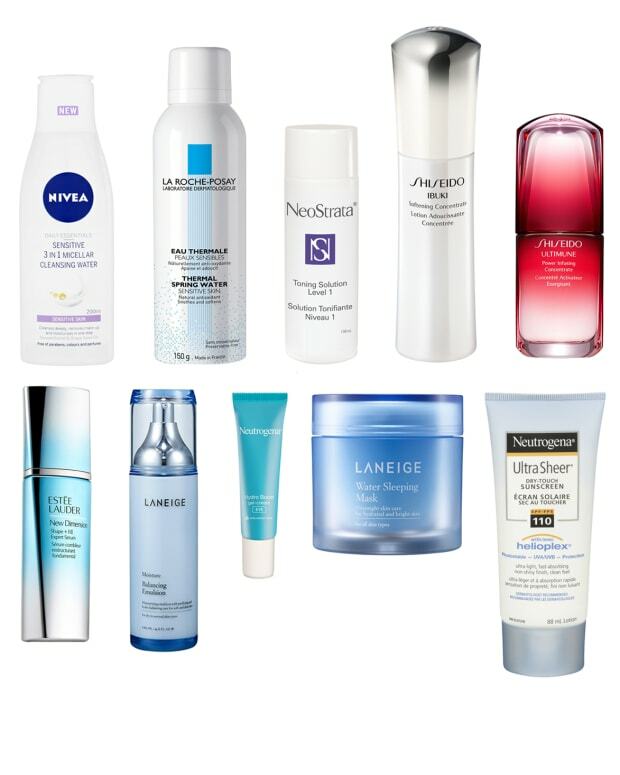 Some of these products are department store quality at drugstore prices! Phyrra 2017 had a ton of beauty releases. See the Worst Beauty Products of 2017! Realizing Beauty The new MAC Jade Jagger Collection just launched on December 14th and Christa shares why she’s in love with everything from the shades to the packaging. we heart this Look, it’s a primer…it’s a serum…it’s one of our favorite skincare products of the year! It’s Ren Perfect Canvas. Beautygeeks is all about these fragrances that keep summer alive despite the deep-freeze. Blushing Noir There is no one more glamorous on YouTube… maybe not even in the world…. than Patrick Starrr. His first collab with MAC Cosmetics is now available and it’s quintessentially Patrick. You’ll need every.single.piece. EauMG is Currently Craving: – What&apos;s Victoria not craving right now?! There are so many great deals, gift sets and new products out right now. She knows she doesn’t need anymore eyeshadow palettes, but she&apos;s so tempted by the new Electropop one from Kevyn Aucoin. It looks so creamy and pigmented. WHAT'S YOUR DAILY SKINCARE PRODUCT COUNT?